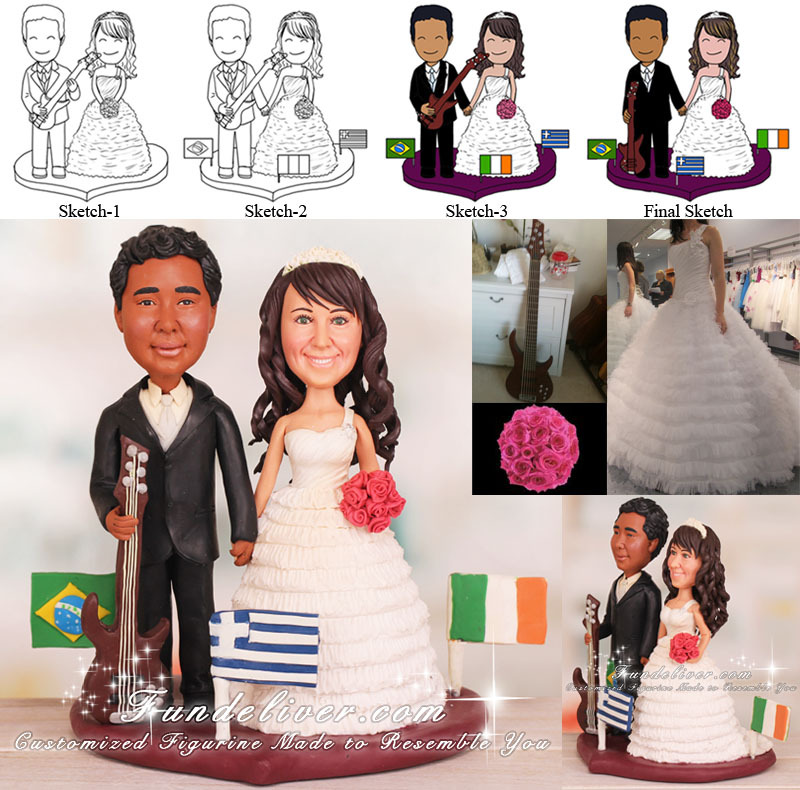 This is a completely customized multinational bass guitar player wedding cake topper ordered by one of our customers. Actually this is a surprise for the groom, he has always wanted one of these toppers. He is a bass guitar player (right handed) so the bride would like him to be holding the bass next to him. The bass is a maroon color six string base. He is wearing a black tuxedo, a silver vest, silver tie and white shirt. His shoes are patent leather high top converse. The bride is holding a hot pink roses bouquet, with wedding dress and hair down in curls with tiara on top of head as shown in above picture. They would like their figurine to be standing on a heart shaped base in a very dark purple color and add three small flags sticking out of the base. The three flags they would want are Brazil, Greece and Ireland.